Proceed to checkout and finalize your order. Final price: $12.50. that's less than $.02 per wipe! Remember to go in and cancel your Subscribe & Save membership after your order ships if you don't want to have Amazon automatically send you additional shipments in the future. I ordered this deal instead of the Target deal the other day because I had gotten the Living Social Amazon Deal $10 for a $20 value. 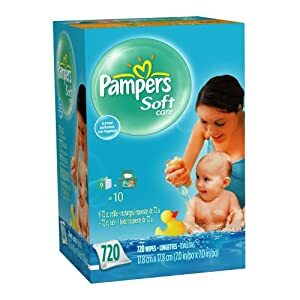 Plus, I still had money left over for my next diaper order and I had gotten a $10 off coupon in the mail for anything baby! Loving Amazon!